More than 30% of Floridians have been told they have hypertension, also known as high blood pressure. But because it’s an illness you can’t feel, there may be even more people walking around undiagnosed. 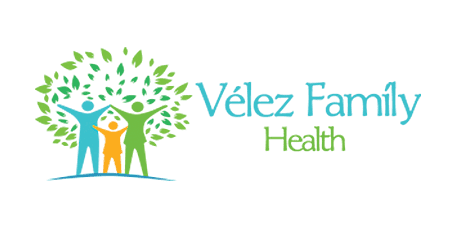 Dr. Tania E. Velez at Velez Family Health in the Doctor Phillips area of Orlando, Florida, is a family medicine physician trained in holistic health who can both diagnose and help you treat hypertension through a combination of traditional and alternative methods. Call the office or book an appointment online. When left untreated, hypertension increases your heart's workload and damages the delicate tissue of your blood vessels, increasing your risk of heart attack, kidney failure, and stroke. Having sleep apnea, diabetes, or kidney disease may also increase your risk of developing hypertension. Hypertension is often referred to as the silent killer because there are no symptoms, which is why Dr. Velez checks your blood pressure every time you come in to see her. Keep in mind: A single episode of high blood pressure doesn’t mean you have hypertension. If you have an elevated reading, Dr. Velez monitors your numbers at your regular visits and may have you check at home using a home testing machine or at a blood pressure testing machine at your local pharmacy. If your blood pressure is consistently high, she may diagnose you with hypertension. As a holistic physician, Dr. Velez emphasizes the importance of lifestyle change to improve your blood pressure, which is why diet, exercise, and stress reduction are such an important part of her treatment plan. She also offers assistance with weight loss, which can help to significantly reduce your blood pressure. Hypertension is a lifelong illness, but taking steps to gain control of your numbers reduces your risk of developing complications. If you have concerns about your blood pressure, call the office or book an appointment online to consult Dr. Velez.